Google+ Elementary School Counselor blog, by Scott Ertl, Elementary School Counselor: Time for NBPTS Renewal -- it's been 10 years?! Instead of simply listing the programs that I've done, it's important to focus on why I developed these programs to address specific needs. The first of my three needs that have driven my counseling program in the past 10 years has been trying to help more students, parents and teachers to feel more connected. I've always known that we are more alike than different, but too many times, many don't feel welcomed or wanted. Instead, I wanted to create ways to engage parents, calm and reassure teachers, and support students. I created Playshops to use creative and cooperative games for participants to find shared feelings, thoughts, and life experiences. They have been extremely effective in creating humor, friendships, and connections with teachers, students, and parents. 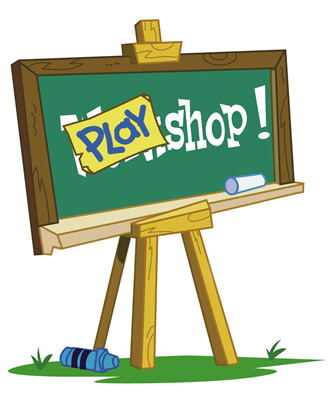 In classroom guidance lessons, PTA meetings, and 90-minute evening programs Playshop games have helped participants become aware of meaningful connections that built trust, communication, and overall camaraderie within the school. The second need that I have focused on improving is helping students have a way to engage in more active learning. I also wanted to do something about our national epidemic of childhood obesity through promoting exercise in a fun way with students, so I created the national "Read and Ride" program where students ride exercise bikes while reading fun magazines and books. Some teachers simply keep an exercise bike in a corner of their classroom for students to take turns reading and riding when they finish their work throughout the day, during transitions, or before/after school. All of the exercise bikes were collected from donors around town. We even have a room full of 30 exercise bikes for teachers to bring their whole class for every student to read and ride for 10-15 minutes at a time--which is especially nice these days when the weather prevents outside recess! The third need that I centered my counseling program around is the importance to help provide students with specific behaviors to practice to make things better instead of just complaining about what happened or the way things are currently. I developed 70 different Progress Cards for students to choose which specific behaviors to practice more often to achieve their specific goals. However, before starting with goals, I always help students find strengths that they already have and help them see how they weren't born with those strengths, they had to be developed. Then, they are ready to create goals. For example, a student may decide to practice giving compliments, sharing, smiling, saying "Good Morning," and helping others more often as a way to make friends. They would check off each bubble on their practice card every time they practiced the behaviors. When I would see the students for classroom guidance or follow-up sessions, I simply ask to see their Progress Card and inquire about how the different behaviors are coming along. They are eager to share their progress! Your sessions at the Leadership Conference were great and very useful. THANK YOU!!! KUDOS!! Extremely individual pleasant and whole lots to see! Karnataka sslc result 2017 will be available soon. Students those who are eagerly waiting for their kerala sslc results can check here. Students can check puc result 2017 at official website. Nice Article. Thanks ffor sharing.. Awesome post ! Use any of the following services free checking with interestand your entire balance will earn interest: Monthly direct depositTreasury management services. Independently establishing and managing a (regional) treasury centre or in-house bank requires a significant financial and timeTreasury management services. Independently establishing and managing a (regional) treasury centre or in-house bank requires a significant financial and time Kasasa checkingKasasaFree checking, awesome rewards. We believe in rewarding account holders.